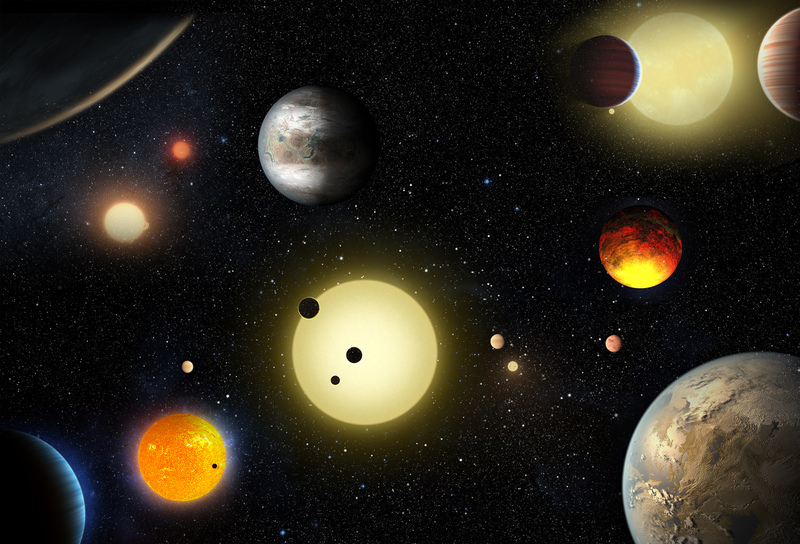 NASA's Kepler mission has verified 1,284 new planets! Yes, there are planets that exist outside of our solar system, and they are called exoplanets. This is the single largest finding of planets to date. This announcement has doubled the number of confirmed planets from Kepler. Before the Kepler mission, we did not know if exoplanets were rare or common in the galaxy. We now estimate that there are far more planets than stars in the galaxy. This bit of information informs us that future missions are needed to take us closer to finding out whether we are alone in the universe. Based on their size, nearly 550 of these exoplanets could be rocky planets like Earth. Nine of these planets orbit their stars in the star's habitable zone. The habitable zone is the perfect distance from a star where an Earth-like planet could exist that could support life as we know it. Exoplanets are discovered when the planet transits its star meaning the planet crosses in front of its host star creating a small dip in the brightness of the star. In 2018, NASA's Transiting Exoplanet Survey Satellite will use the same method to monitor 200,000 bright nearby stars and search for more planets around these stars.